So, in case you've been living under a rock - I got married in November and I've written all about it (click that link to catch up!). Rich and I went on a mini-moon straight after the wedding to our favourite Hot Tub Lodges in Yorkshire which I wrote about last time we went a couple of years ago. I didn't take any photos as the entire week was just spent recovering from all the stress and excitement of getting married. I'm so pleased we didn't go on our big honeymoon straight away, for two reasons, one being that for at least the first 3 days of our mini-moon I really didn't want to do anything which wasn't stuffing my face or lounging in the hot tub, and the other is that I could not have coped with the stress of packing for a big holiday at the same time as the last minute wedding stuff. How do brides do it?! When Rich and I started thinking about our honeymoon we were really at a loss of where to go. We wanted to go somewhere luxurious, but still with plenty to do. America was my number 1 most desired destination, but we couldn't decide on a location which would give us everything we wanted. Eventually we settled on a cruise. It meant we could have the luxury we were after, with lots of activities to do, and we could start and end in America, so I would get to visit at long long last! I'll talk more about the cruise in my future honeymoon posts, but the one we chose used Miami as it's departure and arrival port, so we decided to extend the holiday by 3 days and stay in Miami first. 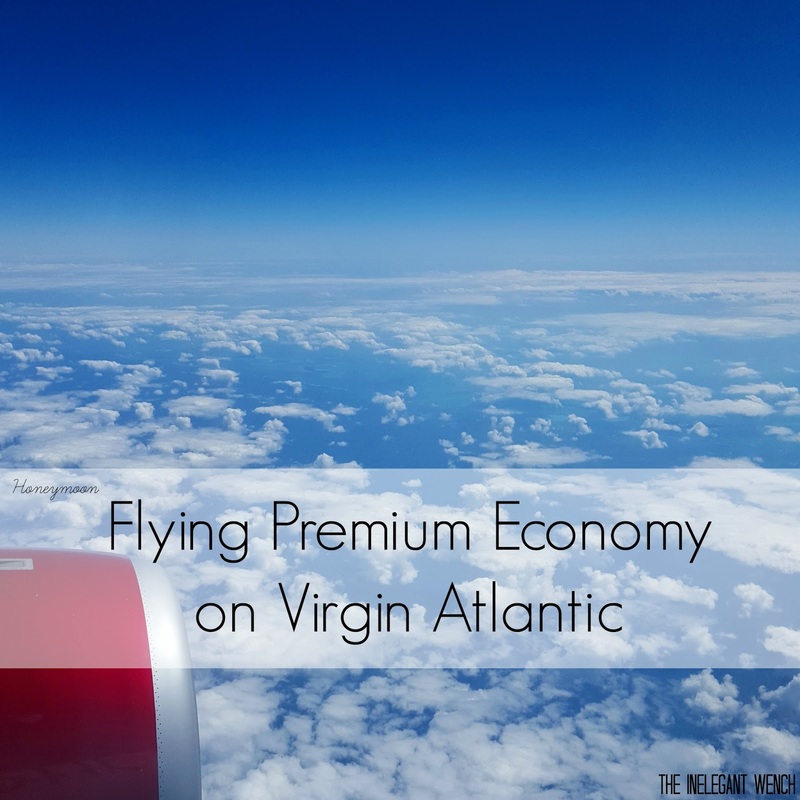 We saved like crazy for our wedding and honeymoon - as well as very generously being gifted donations towards the cost, and it meant that we could afford to spend the bit extra and travel premium economy to Miami from Heathrow, which was a very exciting experience for me, especially as I'd never flown long-haul before. 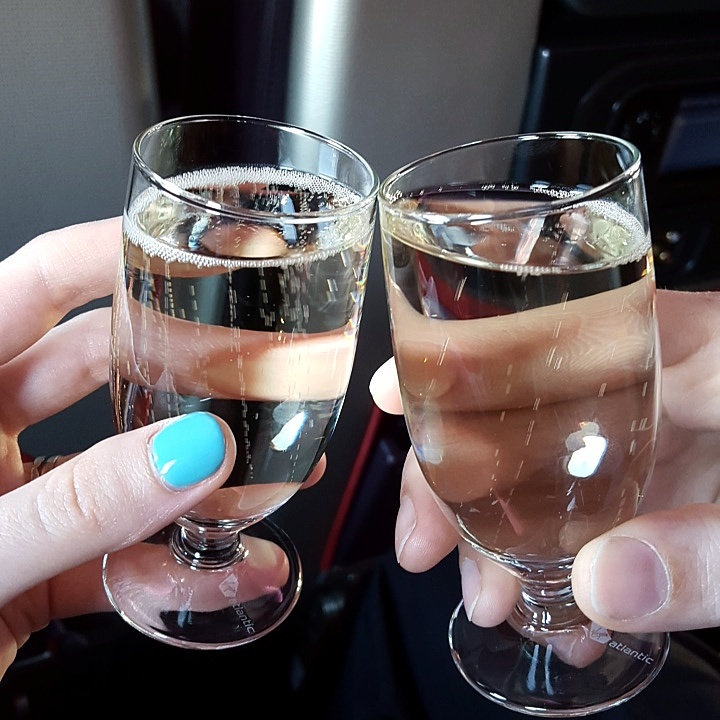 We were welcomed onto the plane with mini glasses of champagne and shown to our very spacious seats, which had little welcome packs on them with a blanket, pillow and bottle of water (there might have been more, this was a few months ago now!). We settled in and were offered newspapers and the menu for the flight (!!) 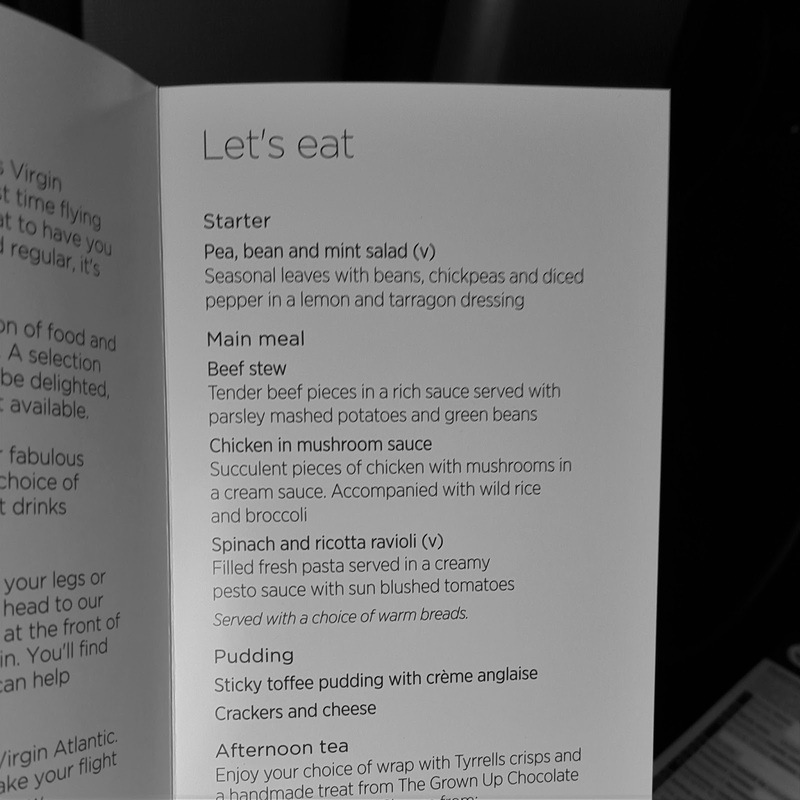 which of course I immediately began looking at, having only ever once eaten on a plane, which I can't remember at all, I was eager to see what it was like. 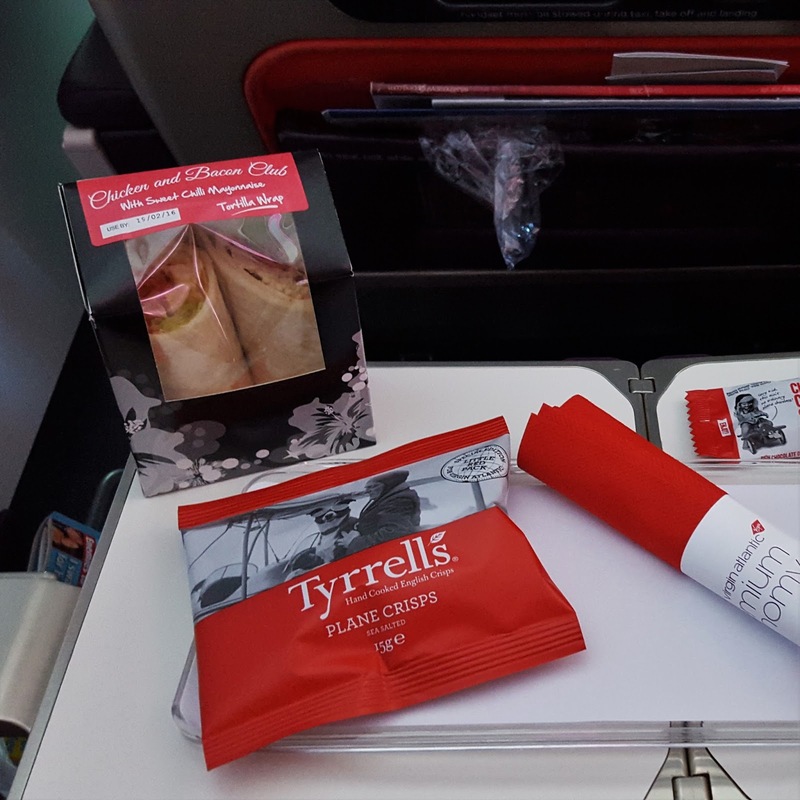 The air hostesses looked after us so well, once we had settled into our seats they brought around hot towels, which made me feel so fancy! After takeoff the drinks trolley came round for the first time of many and we were offered a drink and some mini pretzels. All of the things they came around with were included in the ticket price, and you could have had any alcohol you liked, which is why we opted for Virgin over British Airways, as BA only offer you one alcoholic drink per flight. Even though Rich and I aren't big drinkers, as the prices and everything else was identical, we thought why not as it was our honeymoon. I got very stuck into the entertainment system on the plane, loving the movies, TV shows and games - especially as they had Tetris! The main meal arrived and it was surprisingly tasty. I love the mini propeller salt and pepper shakers, and that they gave us a mini cheese and crackers. 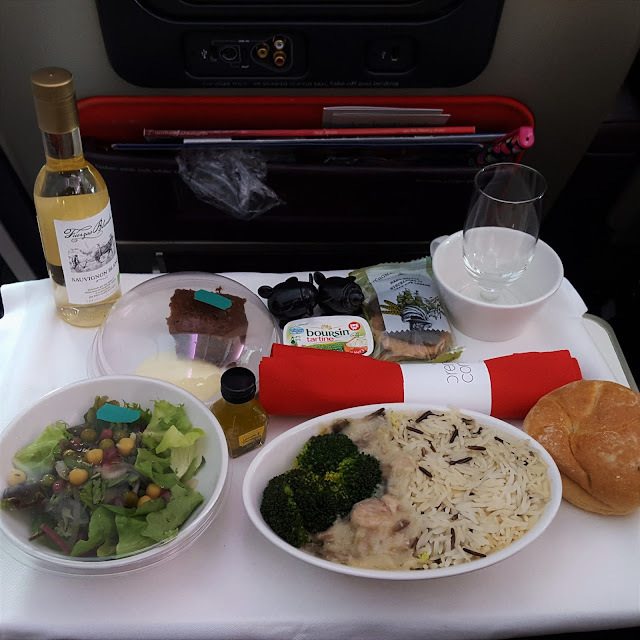 I ate better on the plane than I do at home! After the wine I was beginning to get a little tipsy, so watched a movie and stopped being quite so hyper and excited for a while. 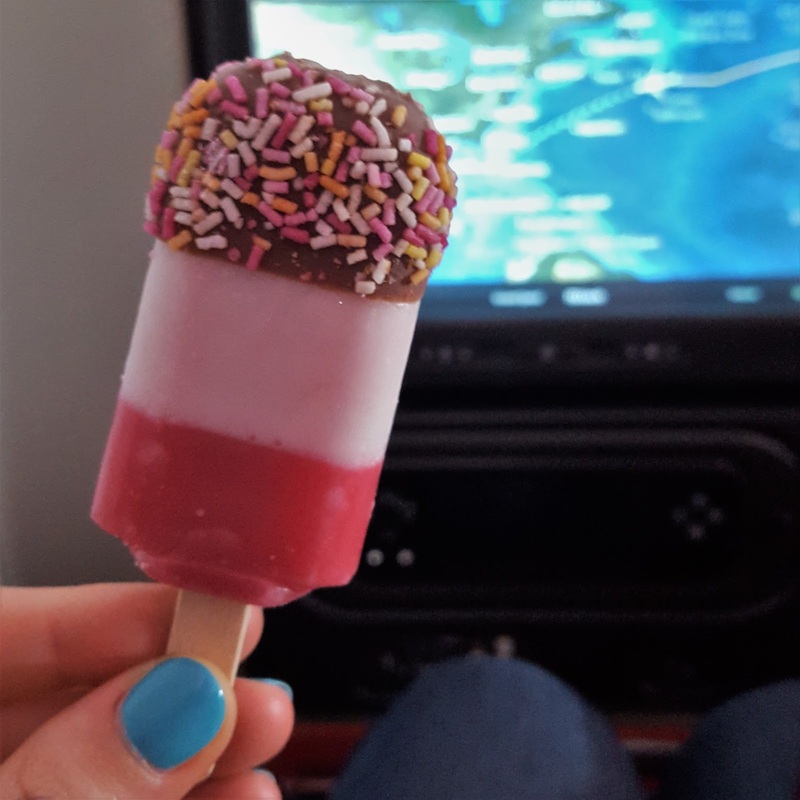 Then they only went and brought us a mini FAB lolly each! This made me so excited again, it really is the little things. I loved tracking where we were on the map thing on the entertainment system, and seeing how fast and high we were. I did take a lot of things on the plane with me to do, as on the budget Europe planes I've been on before there is no entertainment at all. I didn't end up reading my magazine or using the iPad at all as there was so much to do, which was great as it meant I had those for later on in the holiday. Nearing the end of the flight they brought around afternoon tea, which consisted of a sandwich, crisps and a mini chocolate bar. It was a little stingy in my opinion, but that's probably cos I'm a bottomless stomach - especially when I'm on holiday. When the flight landed we were one of the first off the plane, and our luggage was the second group on the luggage carousel, something tiny, but very much appreciated as I hate having to wait ages for your luggage, especially as it's usually so crowded and I end up needing a wee. The whole flight experience was brilliant, we really felt well looked after, and if we can ever afford it again I would definitely repeat the experience! I'm not sure how I'd like not having as much leg room on such a long flight, or as much room to spread out. I think I spoiled myself for life now. Next Wednesday I'm going to be talking about our time in Miami, which was an amazing three days.